The parsonage for the Union Methodist Church once stood north of the cemetery. 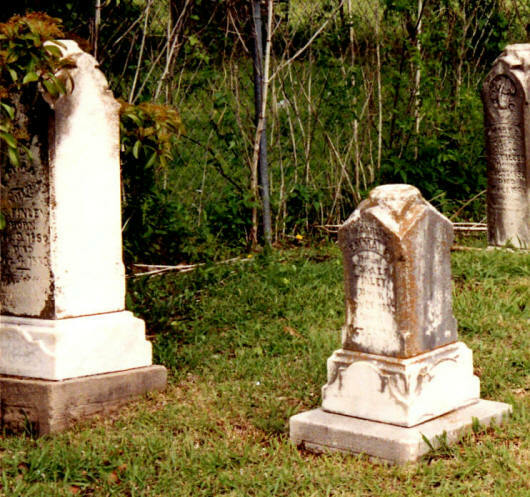 On page 119 of REMINISCENCES OF CELINA it states that land for the cemetery was donated by the Finleys and Cashions with land for a church and the Union School House was donated by Quincy Case and his wife. The deed for the Finleys is listed in Vol 95, p 425. On page 2 of the same book it says that Quincy Case donated land for the church, school and cemetery. The Case deed is listed in Vol 18, p 619. Both deeds specify that they are for a church building and neither mentions a cemetery. A deed for the cemetery itself has not been found. The Union Methodist Church moved west to downtown Celina and became First United Methodist Church in Celina. The cemetery covers about ½ acre of land and is surrounded by a 4-foot chain-link fence. It is across the street from a stadium and next to the Celina library. It is on the east side of the railroad tracks in Celina. There are houses on the north and west. The cemetery is well maintained. A large Stelzer family area is on the west side of the cemetery. The Stelzers lived about 1 mile east. 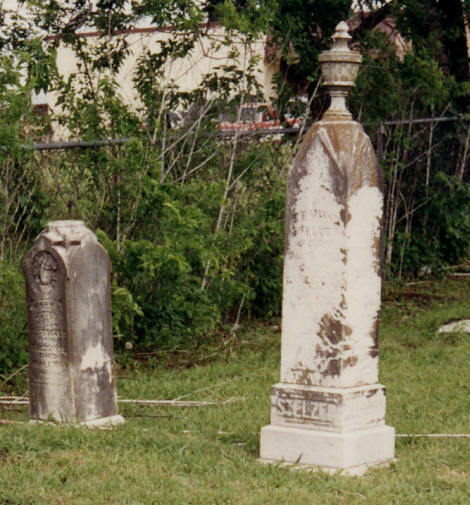 I have been told that there was a Stelzer Family Cemetery east of Prosper. I believe the reference is to the Cross Roads Cemetery, which also has a Stelzer family area. They are part of the same family. Christian Stelzer's marker is here now. According to Elder Horn in the ANNALS OF ELDER HORN, Christian Stelzer was buried under a lone tree in a field near his home. Christian Stelzer is recorded as being the last person killed by Indians in Collin County. In actuality, he was killed in an argument at the time of the Civil War. The killer got away because of the unsettled times around the war. The Stelzer family donated the land for the Cross Roads Cemetery, which is about 1 mile northeast of this cemetery.